In this series, I am going to take you through the process of connecting a MASSO CNC controller to your KRMx02. While the KRMx02 workbooks take you step by step using a PC and Mach3 to control your KRMx02, I wanted to give builders another option. Dont know what the KRMx02 is? This is a Production quality CNC you can build. While you are free to read through these experiments, it is important that you know that the MASSO has too many issues for me to recommend its use with the KRMx02. 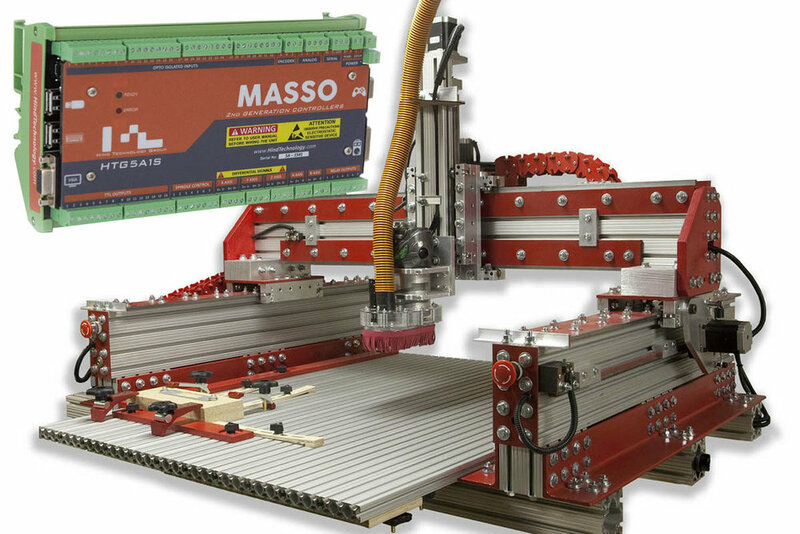 The MASSO is a stand alone CNC controller that will replace your PC and Mach3. Connect a VGA monitor and keyboard to the MASSO and you are ready to go. Your CNC Gcode is placed on the MASSO via a USB thumb drive. While the MASSO could never provide the power and versatility of a PC with Mach3, it will add simplicity and security to your build. 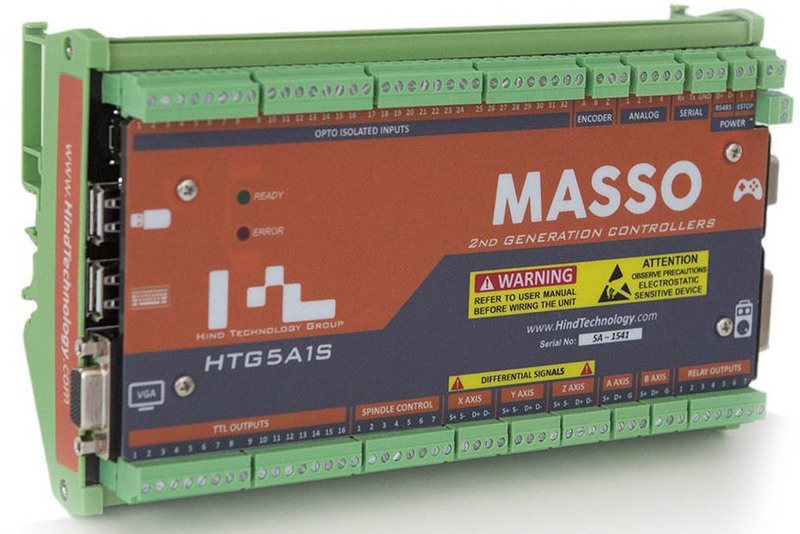 I will be building the MASSO to KRmx02 interface using a DIN rail system. I will be using my "DIN Rail Proto Board" to mount the various components on. In my KRMx02 Books, I document the layout and connections on a flat panel for ease, and cost. Both the KRMx02 DIN rail experiments and the layout shown here will be based on the books described connections. Where applicable the hookup will remain the same, where not, they will be documented. It is assumed you own both the "Building the KRMx02" and "Upgrading the KRMx02" workbooks. This is an ongoing process that will be updated on a regular basis. If I run into an issue and have to change something, It will be documented. Here is an example of an change I had to make. The system with the MASSO connected to the Estop switch would not allow me to trap faults from the G540. By connecting the Estop to the G540 and using it to fire a small relay board. This aloud the G540 to drive the MASSO's Estop much like the G540 driving Mach3 on a PC. In addition any problem I encounter will also be documented. Please note the even if something is not quite perfect, the folks at Hind Technology have been very responsive, and have even updated the firmware on issues that I have discovered thusfar.